A couple of weeks ago a friend and I went to Mr Pio Pio’s on Quail St and got this dish with assorted rotisserie meats and fried yuca and plantains. It was so good. The plantains were so good. The last plantains I had were the ones my sister made. She has since become a much better cook. No, really. Her cooking now rivals my mom’s. But anyways…. Last Friday I went grocery shopping before eating dinner. I was STARVING. This was reflected in my purchases, which included yuca, three plantains, seven tomatoes, a package of chicken gizzards, a bag of Chex mix, and an egg custard pie. I almost never cook real meals. I also rarely eat out- when I do, it’s usually pizza or Subway, because it’s cheap and delicious. Usually, this means I eat a lot of crock-pot stews, non-fancy pasta, eggs, salads, and microwaved frozen veggies (I do a good job staying away from the frozen prepared meals.). I eat a lot of sandwiches and “leftovers” burritos. I eat things that taste like food and make me not hungry. I don’t think I crave things like most other people. I’ve done this for years and years and years. I am a creature of habit. I also have a strange fear of cooking meat. I avoid buying meat besides eggs and occasionally chicken (which I cook in the crock pot until it’s dead). I’ve bought meat to make pulled pork and have had it go bad due to procrastination. For someone who still eats cans of corn on occasion (mmmm), cooking real dishes is highly unusual. However! I am not only making “real” meals, but I am also improving my culturally competency in my culinary creations! I have made food from three cultures ever since last Friday’s ghrelin-induced shopping spree. On Friday, I made pasta alla carbonara (for the first time) with spaghetti and turkey sausage. On Sunday, I made stir-fried chicken gizzards and hearts (for the first time) with onions, garlic, mushrooms, ginger, spicy and mild green peppers, and sesame oil. On Tuesday, I made pasta alla carbonara (for the second time) with penne, onions, turkey sausage, and broccoli. Getting a little better. On Wednesday (today! 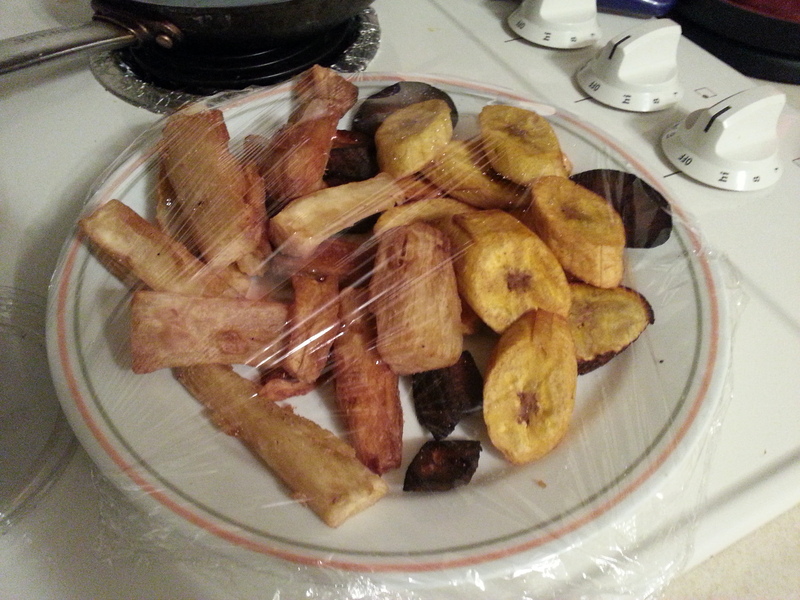 ), I made fried yuca and plantains (for the first time). They were pretty darn good, even if I say so myself. 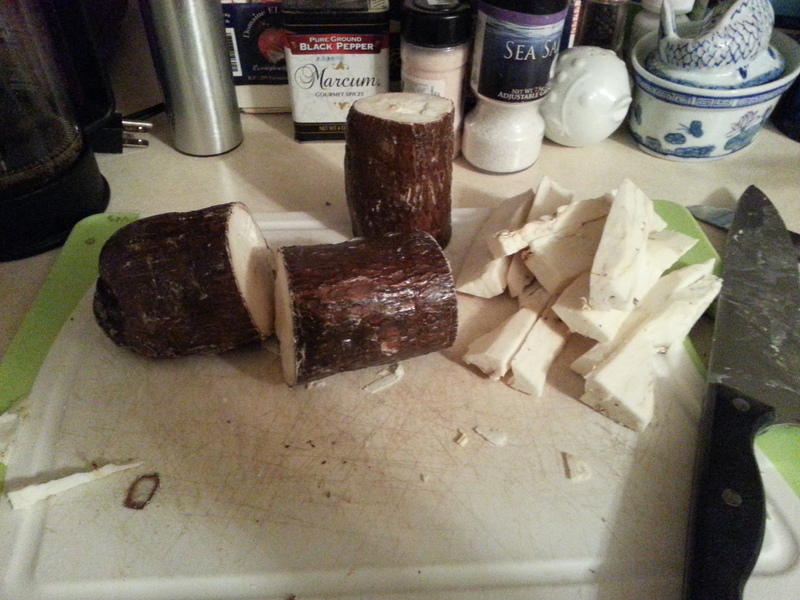 First I chopped the yuca and plantains. Then I boiled the yuca in water for 15 minutes until they were soft. I fried the plantains and yuca in vegetable oil at 275-300 degrees F. (The black plantains were added to oil heated past its smoke point.) I seasoned with sea salt. We have shrews! I generally don’t hate animals, but I dislike mice. Maybe because it’s hard to love mice when you have to “sac” them for experiments and pull out zeir bones. Our lab isn’t even very mean to mice. All we do is put them to sleep. The mice in some other labs probably all have PTSD. No one likes being mean to their animals, but it is a necessary evil. If you like having insulin for your diabetes and treatments for your cancer, then you really have no say against animal research. I don’t like mice because I work with them, they eat my food, and they poop all over the place. But shrews are cool! I saw movement in my grocery bag, and this little guy was chirping away, turning my bagels into bite-size pellets. He must have been pretty stoked. When he realized I was there, he left my bagels and just pattered away alongside the wall. It was more of a jog than a scurry. Shrews are not furtive at all. There do not hustle. Or maybe they’re just slow. I’m almost positive this one was a Northern Short-tailed Shrew. How can you not like these guys? They are active all winter, which is hard to believe with all the snow that’s fallen. Well, it’s hard to believe how anything small can survive a winter. 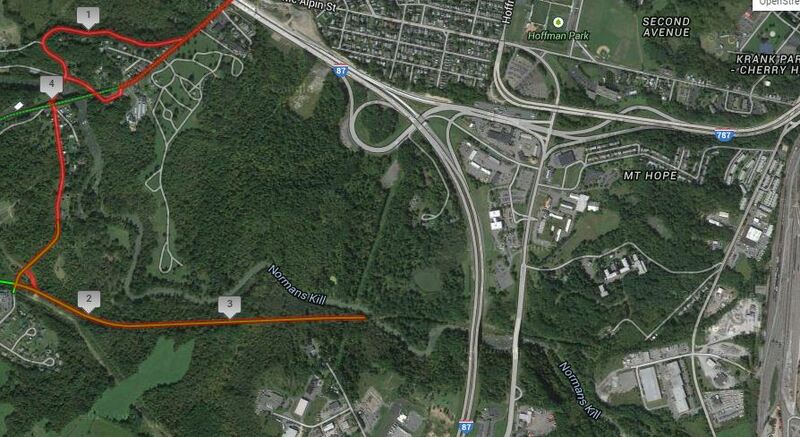 Part of me wants to wait until the snow melts to set up the traps, but the poop and the missing food is pretty gross…. Shrews leave poop in wet chunks, not in nicely compacted grains like the mice do. Anyways, shrews also use echolocation. When I picked one up yesterday, the little guy emitted a series of squeaks with a frequency that definitely went beyond our hearing range. That was a little painful. ALSO, These guys are one of the only toxic mammals found here. Their saliva contains an enzyme that breaks down proteins, which is used to paralyze prey. I didn’t know this when I held one yesterday. Oops. So I set up traps yesterday even though I think shrews are cool. (They are, when they are outside.) My roommate wants to get a cat instead of setting traps so that the cat can kill and eat the shrews. Unfortunately, pets are not allowed in this apartment. Also, letting your pet eat wild rodents is disgusting and probably not good for its health. One of the traps grazed the shrew, but didn’t snap him. The poor guy was so disoriented that I could pick him up without any resistance. My roommate strongly insisted that I throw him outside so he could die “naturally”. Live traps are just as lethal this time of the year, because where else are you going to relocate a small rodent when there’s 4 feet of snow on the ground? Maybe she just really wants a cat. I was in high school when social networking became popular and “blog” was coined as a word. MySpace, Livejournal, and Xanga were popular with teens. (unfortunately.) I had a Xanga account in high school. I followed my sister, my friends, and two grad students who liked birding. Back then, it seemed that everyone who could type and use the internet had a blog, which often took the form of an online diary/brain dump. Blogging isn’t as ubiquitous now. Most people follow the famous bloggers instead of their friends. In my freshman year in college I thought I’d continue the tradition, but with a change of scenery. Thus, this site. As a teen, I was eager to show the world how deep and unconventional I was. This makes me glad that Xanga has been upgrading to version 2.0 ever since 2013 (and is still in phase 2 of 4!). Blogging is almost like getting a tattoo. You make an idea in your head permanent and visible to others, and then you regret it ten years later. I will probably have my face in my hands when I read this stuff at age 40. Oh well! I had some fun reading my own entries I made 6 years ago. So what is the point of this? I don’t pretend to be good at writing. I can form sentences. I can also add. (Sometimes even in my head.) That’s about it. I’m no good at creative writing or poetry. I’m restarting this site to keep track of the thoughts I think and the things I do. I like the anonymity that the non-social-network part of the internet offers. Facebook has turned into a tool for tracking people you no longer keep in contact with. I want to improve my writing speed, quality, and style. So in the past six years, I graduated college, wasted a year of my life, and ended up in grad school. I still don’t really know what I want to do with my life. I haven’t birded in a while. I haven’t played the piano in a while. I ride bikes a lot. This blog will not have a specific theme. It will be a brain dump!